Class 1000 clean room in ITU Space Systems Design and Test laboratory has an area of 25 m2. It contains a thermal vacuum chamber, which provides pressure and temperature control. The clean room has been utilized for integration and thermal vacuum testing of the ITUpSAT1 flight model. Via the control unit; the temperature, humidity and pressure of the medium can be controlled to provide the environmental conditions for the desired applications. 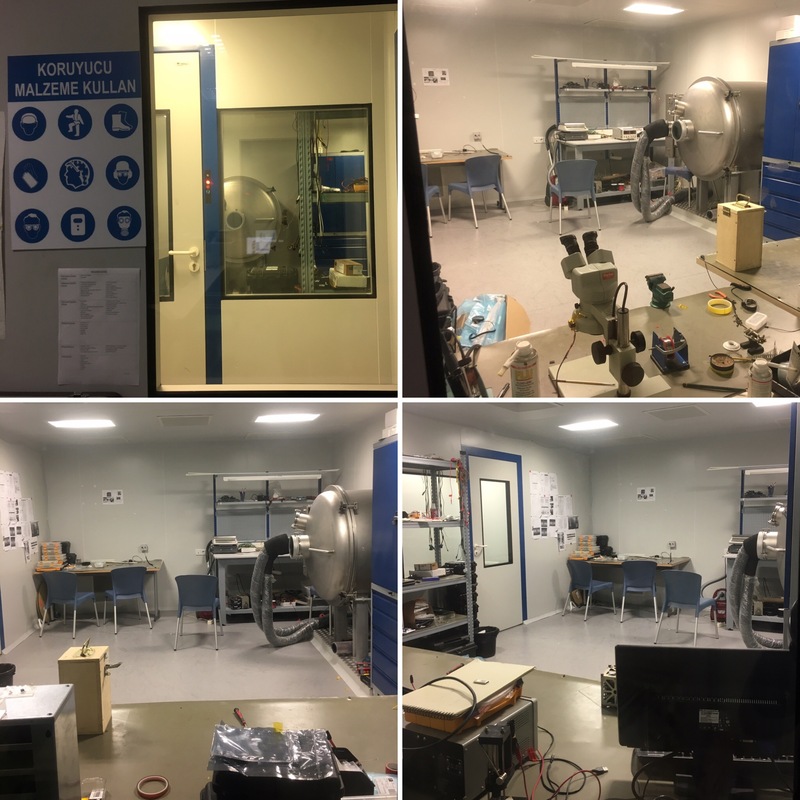 The laboratory also contains a Class 100.000 clean room with 8 m2 efficient area, which used for educational and experimental purposes.